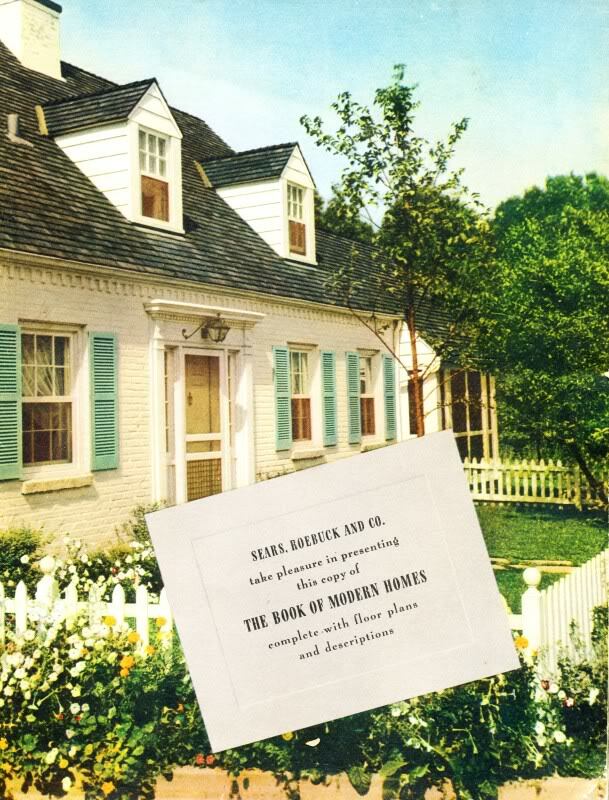 The final Sears Modern Homes catalog was issued in 1940, and the Modern Homes Department stuck around for a few years afterwards. The 1940 Book of Modern Homes. They listed complete pricing so customers could see the true cost to purchase a house (this included lumber, millwork, hardware, plumbing, roofing, wiring, lighting fixtures, heating system, etc.). Complete house "packages" ranged from $3,500 to $7,500 in 1939. They primarily sold houses through their Modern Homes district offices. In the Chicago area, there were offices in Aurora, Chicago, Gary, Hammond, Peoria, Rockford, and Milwaukee. If a customer came into a Sears, Roebuck retail store, they were directed to a Modern Homes office. Orders rarely came in directly from the mail. Sears only sold homes in the East and Midwest United States. There were no sales west of the Mississippi or south of the Mason-Dixon line. Sears no longer offered home construction services. They would offer an inspection service to ensure "the job is done right". Sears no longer offered financing. The buyer was responsible for obtaining financing through FHA or a private lender. Sears would help advise the purchaser through the financing process.